centre has died unexpectedly, officials said Wednesday. Sambo was caught in December in sent to a zoo after he killed his owner and terrorised villagers. centre on the outskirts of Phnom Penh. 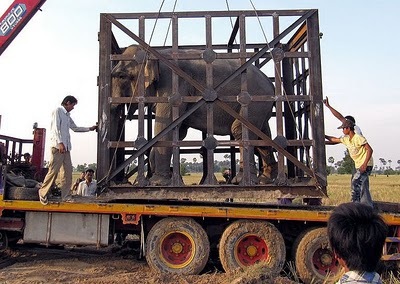 For safety reasons, Sambo had restraints placed on his front legs and was kept away from other elephants. people” until the very last day. by government veterinarians to treat a small leg wound. It said he was too weak to stand up despite efforts to get him back on his feet with the help of a crane. The Asian elephant is listed as an endangered species by the International Union for Conservation of Nature (IUCN).